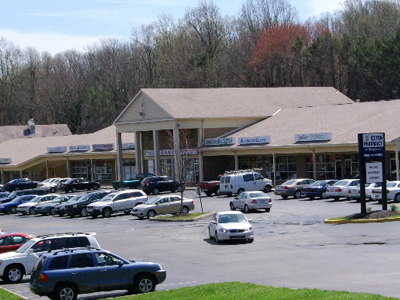 Marchwood Shopping Center is located in Chester County at the bustling corner of Route 100 and Marchwood Road, Exton, Pa. We offer a wide variety of neighborhood shops to satisfy the most discriminating shopper. Our 26 acres of shopping features 30 stores from True Value Hardware to various restaurants with cuisines. We are anchored by Swann's Pantry, and they are now our largest tenant. Two of the more noted restaurants located in this shopping center include: Yokahama, a four star Japanese sushi bar and Weso's Italian Restaurant & Sports Bar, a place for all Italian food and sports lovers. We even have a conveniently located liquor and cigar store. In addition to offering exceptional retail space, we also have a two story professional office building within the center with ample parking for all, and self storage garages which enables us to offer more services than any other center in the area. Garages are available in various sizes and accessible from 7am to 7pm.